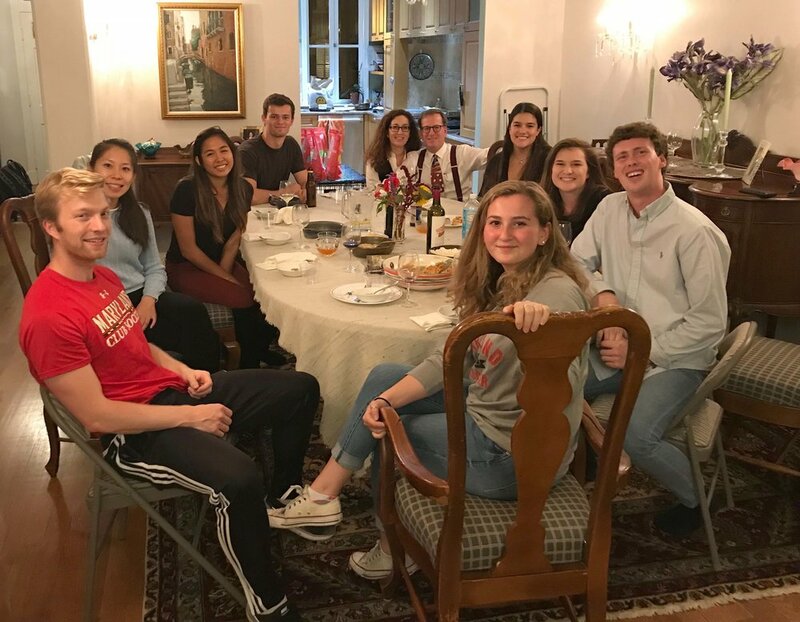 Neighbors provide the venue and select the menu for convivial dinners with students living in Burleith and Georgetown. GU’s Office of Neighborhood Life picks up and pays for the food. BRiDGE is a monthly program run through Georgetown University's Office of Neighborhood Life (ONL) that invites students living off-campus and neighbors to connect over delicious meals and quality conversation. ONL caters the dinners from a local spot as community members open up their homes in the hopes of meeting and engaging with Georgetown students. Over the past two years, community members have hosted 12 dinners, and 65 Georgetown students have participated! Hosts choose the date and time that works best for them, the number of students they can accommodate, and the restaurant to cater the meal. ONL needs hosts! If this is something you would consider, please contact Samantha Herrell at smh325@georgetown.edu or (571) 723-2819.